The term “commons” has been appropriated over recent decades by individuals, corporations, and interest groups seeking to benefit from the positive emotional responses that the term seems to evoke. In some cases—shopping commons, for instance—use of the term appears to be mainly a marketing strategy, but in other cases the term carries a definite political argument, most typically an argument against commodification, privatization, or enclosure and in favor of egalitarian, grassroots approaches to resource management. It is at this point that a clear break occurs between commons as a particular kind of institutional arrangement and commons-as-social-imaginary. The commons imaginary can... be understood as a response to... fundamental changes in our social, economic, and political lives, particularly those associated with economic globalization, the accelerated pace of erasure of place-based communities and social identities, and global environmental and economic crises. The commons imaginary, like the nation-state, is also dependent for its construction on print and electronic media. The recent proliferation of the use of the term “commons”... clearly attests to the manner in which it is being constructed. 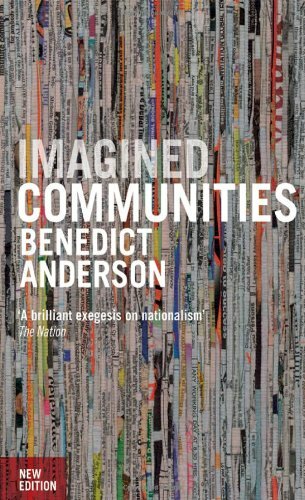 There is a third and equally striking parallel between the imagined nation, as described by Anderson, and the imagined commons. 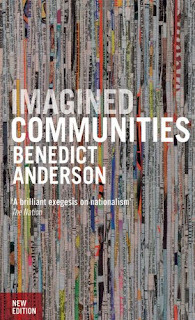 Anderson argues that nationalism, as a social phenomenon, is characterized by a number of paradoxes, one of which arises out of the fact that it possesses readily visible forms of political power, despite its philosophical “incoherence”. Nationalist ideologies, for instance, tend to “naturalize” the idea of nation; they tend to represent the nation as ethnically, linguistically, and culturally unified even when it is strikingly diverse. Political boundaries are as likely to divide people with common languages and histories as they are to encompass them. Incoherence arises because of the fact that national imaginaries tend to map poorly onto the social realities to which they refer.... This is also true for some aspects of commons theory. Despite this incoherence, nation-states do exercise a very significant degree of political power, and this paradox lies very much at the heart of the whole concept of the social imaginary. Charles Taylor defines a social imaginary as “that common understanding that makes possible common practices and a widely shared sense of legitimacy” (23). My reading of Anderson and Taylor, taken together, leads me to emphasize the fact that the “common practices” that arise from a social imaginary tend to obscure or even silence the incoherence of the social formation that underlies it. In the case of the commons, I would also argue that it is an emergent rather than a fully actualized imaginary. It informs a discourse of political activism in diverse cultural settings, but this activism rarely leads to the acquisition of a significant degree of political power by the organizations involved. The antiprivatization movement in Cochabamba, Bolivia, can be understood as a situation in which a significant degree of political power was mobilized through a commons imaginary. Privatization of the water supply of Cochabamba occurred in 1998, under concessions granted by the national government to a transnational consortium led by the U.S.-based Bechtel Corporation. The changes introduced by the corporate water purveyor, most notably dramatic increases in the price of water, quickly led to an extraordinarily effective resistance movement and cancellation of the Bechtel concession. It could also be argued that the subsequent election of Evo Morales as the first indigenous president of Bolivia was a direct outcome of the Cochabamba water movement. Such success stories are rare, however, in the world of water management. The work of Appadurai is particularly helpful in explaining how and why social imaginaries, including the commons imaginary, are characterized by a high degree of incoherence. As an “ideoscape”, the contemporary imagined commons relies heavily on European ideas about and nostalgia for a premodern, preenclosure period when peasants and other inhabitants of rural areas held shared access to common forestlands, pastures, and other resources. This idea of a peaceful, rural, communal commons is strikingly at odds, however, with other widely understood characteristics of European feudal life, which, by definition, was constructed on the basis of class differences and economic exploitation. Even access to so-called commons resources was strongly differentiated on the basis of class, with the rights of peasants continually subject to interference by the rights and actions of feudal lords and officers. Rather than dismiss the commons imaginary as “nostalgia for a past that never existed,” however, following Appadurai it is more constructive to recognize it as an attempt to selectively appropriate positive features of historic European commons in ways that could serve us well in the present. But the contemporary commons imaginary is not entirely European in nature. It represents a confluence of global flows of ideas in which the customary property-rights systems of indigenous people, despite those systems’ tremendous variability and complexity, are conflated with and entirely subsumed under the idea of a commons. This now-universal notion finds wide appeal not only among Europeans and their descendents in former colonies around the world but among indigenous people, peasant communities, and others who join forces in their opposition to various contemporary forms of state intrusion and economic development, most notably those involving contemporary forms of “enclosure” and privatization. From this perspective, the commons idea is characterized by incoherence, in the sense discussed previously, but also by disjuncture as described by Appadurai. The commons-as-social-imaginary corresponds in many ways to Appadurai’s notion of an ideoscape, but at the same time it stands in opposition to the “Enlightenment worldview” that informs the ideoscapes he describes. It is certainly true that the commons idea is best understood as a counternarrative to the master narrative of modernity, a point that sheds some light on the fact that it has remained relatively powerless in political terms or why, in terms of Taylor’s definition of social imaginaries, it has not passed the threshold test of engendering distinct and identifiable sets of “common practices and a widely shared sense of legitimacy”. I draw attention here to the incoherent and disjunctive characteristics of the commons ideoscape not in order to discredit it but in order to support its movement toward legitimacy as an alternative to the neoliberal imaginary that has so dominated the world economic system over the past several decades. Understanding commons as a social imaginary rather than a set of institutional property-rights arrangements makes it, in fact, more coherent as a social phenomenon and brings into play the role of imagination in creating alternatives to current power structures. As Appadurai has stated, “The image, the imagined, the imaginary—these are all terms that direct us to something critical and new in global cultural processes: the imagination as a social practice. … The imagination is now central to all forms of agency, is itself a social fact, and is the key component of the new global order”.